Mechanically tenderized beef should be labeled so that consumers can prepare it safely, the U.S. Department of Agriculture’s (USDA) Food Safety and Inspection Service (FSIS) said today. The agency is proposing new requirements for mechanically tenderized beef that would include labels with cooking instructions. Mechanical tenderization is a way to increase tenderness by piercing cuts of meat with needles or sharp blades to break up muscle fiber. During this process, bacteria on the exterior of the cut gets pushed to the interior. To kill the bacteria, cuts that are tenderized in this way must be cooked to a higher internal temperature, 160˚F, than those that are not, 145˚F. 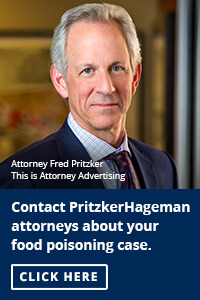 But right now, consumers don’t have a way of knowing if the beef they buy has been mechanically tenderized or not and this puts them at risk for foodborne illness. Since 2003, there have been five outbreaks attributable to needle or blade tenderized beef products prepared in restaurants and consumers’ homes, according to he Centers for Disease Control and Prevention (CDC). Failure to cook the meat to the proper temperature was a significant factor in all of these outbreaks, according to the USDA. In the 2003 outbreak, 13 people were sickened, 7 were hospitalized, and three died. A 2009 outbreak attributed to mechanically tenderized steaks sickened 25 people. Nine people were hospitalized in that outbreak and one of them died. 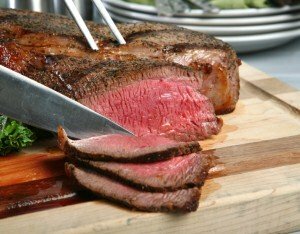 To draft this proposed rule, FSIS looked at data from its own research, from the Agricultural Research Service, and from the CDC to determine the public health risk associated with undercooking mechanically tenderized products and how consumers could benefit from labels with cooking instructions.